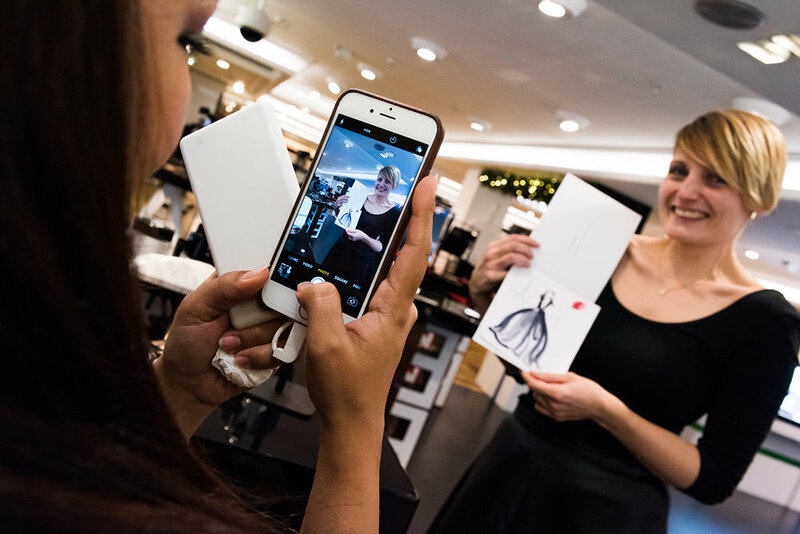 Throughout the whole of December, I was working with Chanel, celebrating the launch of their exciting new #ChanelLondonStudio space in Harrods. 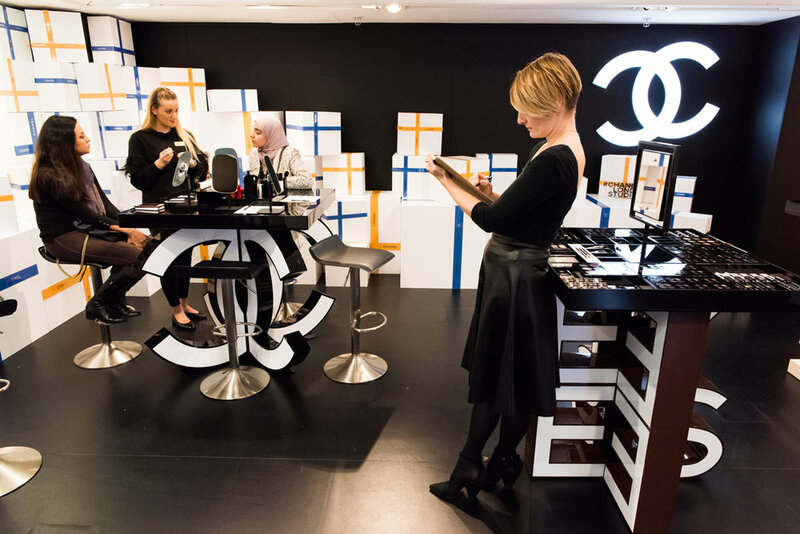 The new space, which will be in Harrods for the next 18 months, allows beauty-fans to get hands-on with Chanel's beauty range with 1:1 tuition and workshops. I was offering fashion illustrations for customers; a welcome break from the chaos of Christmas shopping, and a personal illustration for them to take home. Photos by the lovely Rob Cartwright.